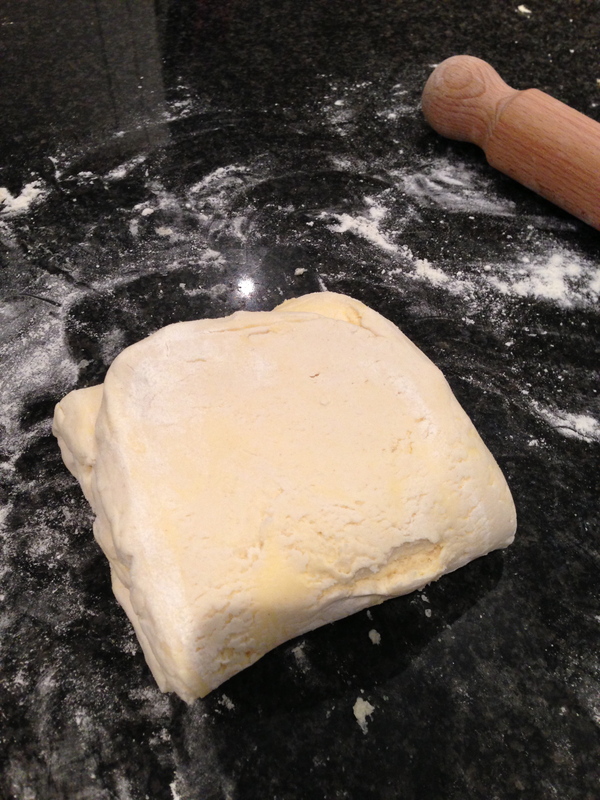 Pastry day today on The Great British bake off so I thought I would have a go for the first time making puff pastry. I knew this was going to be tricky! Put the flour, salt and baking fix into bowl. Add cubed cold butter. 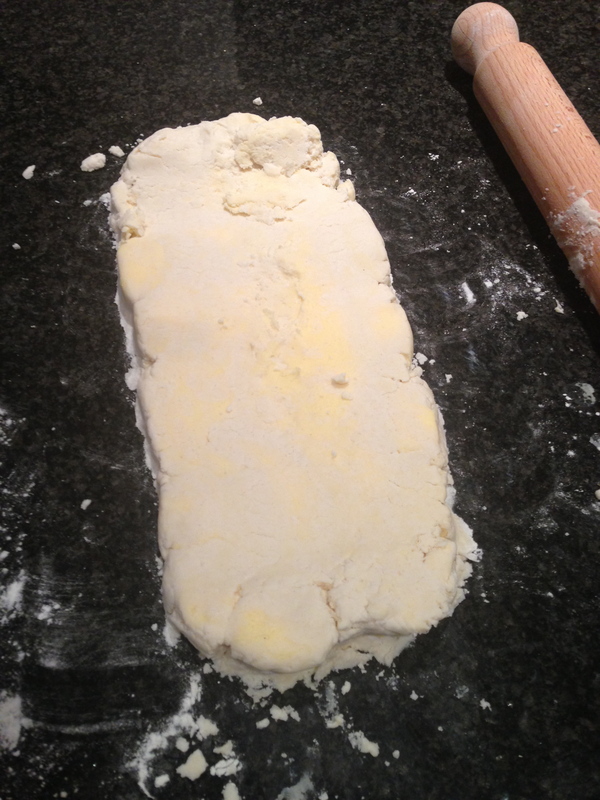 Use hand to cover all the butter with the flour. Add ice cold water a little at a time. this dough needs to be quite wet and sticky. My first attempt today was too dry and just crumbled. 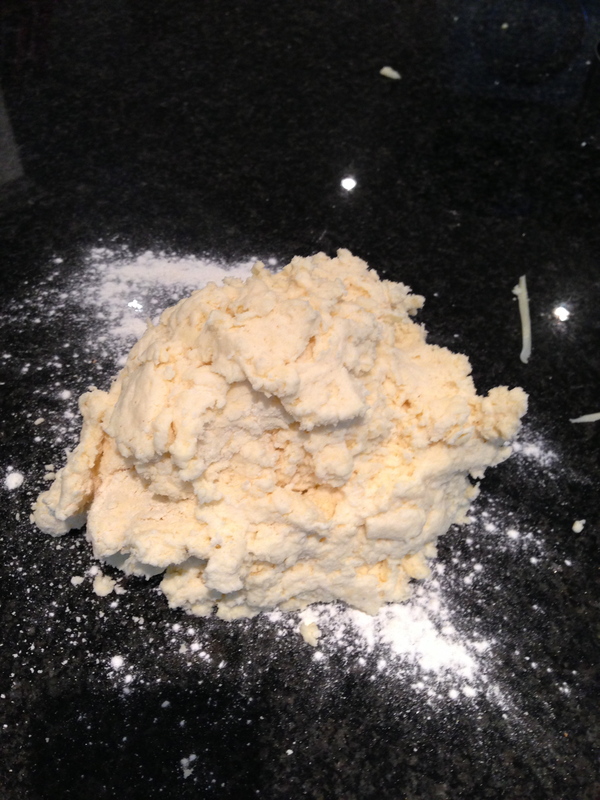 Bring dough together with your hands, not easy but when together tip onto clean surface and gently bring together until it becomes a ball of dough. Try not to over handle. After 1/2 hr take out and remove cling film, put on floored surface. seal and turn once to the left and repeat 3 more times. 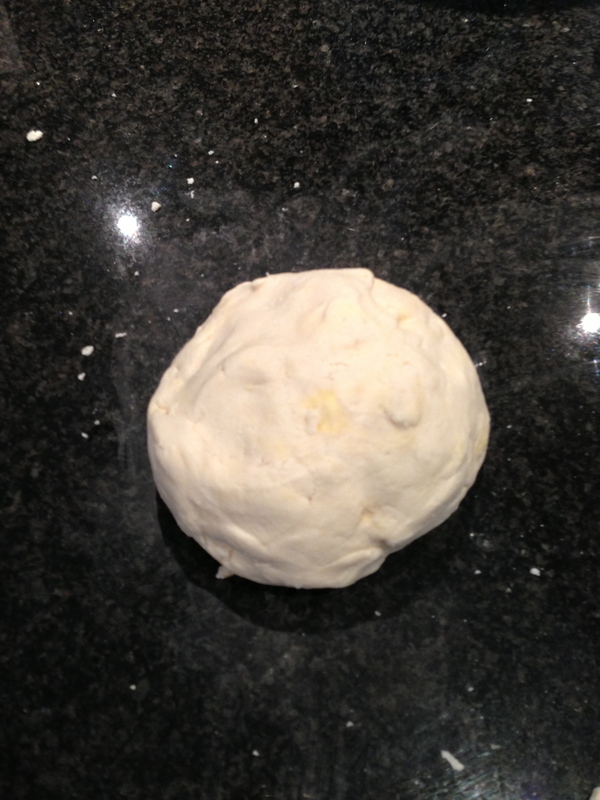 If butter starts getting too soft, pop back in fridge for a while. Wrap in cling film and refrigerate for at least an hour. Unwrap and roll out to desired shape. 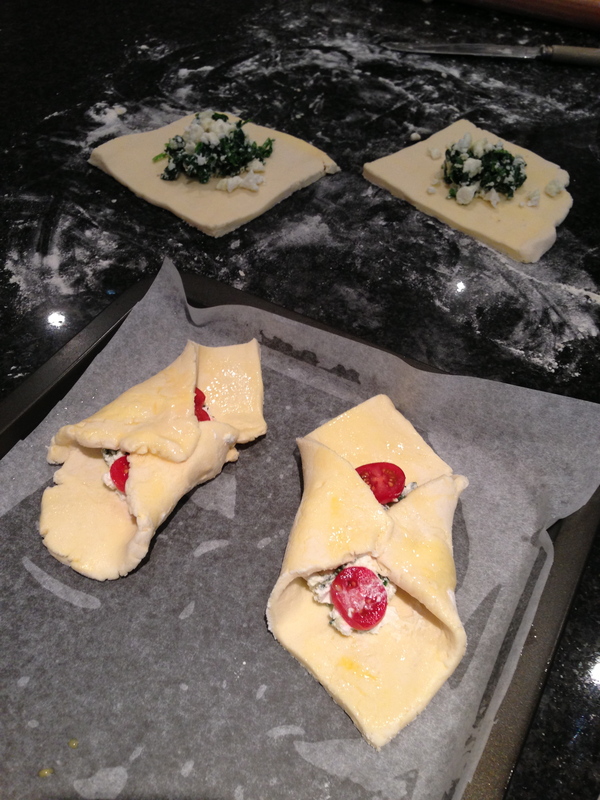 I decided to make savoury and sweet pastries. 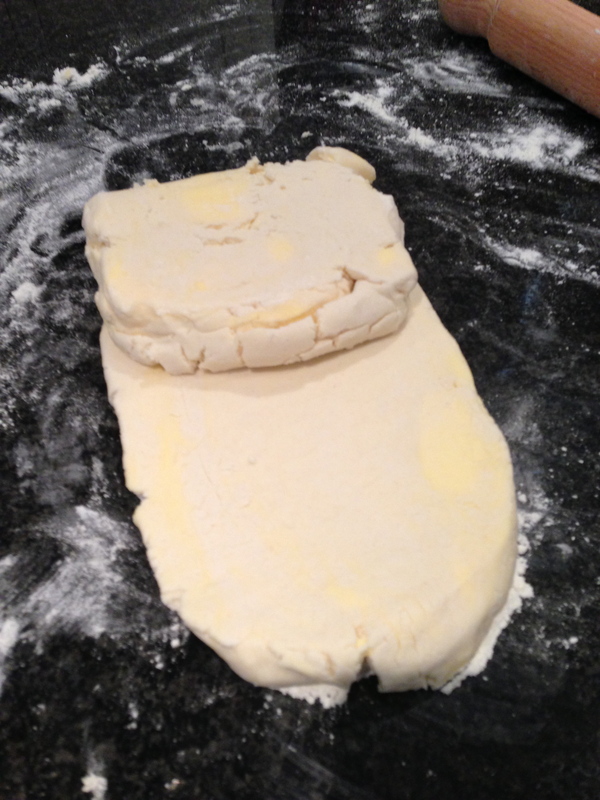 I cut my pastry in half and put one half back in fridge and rolled out other half. 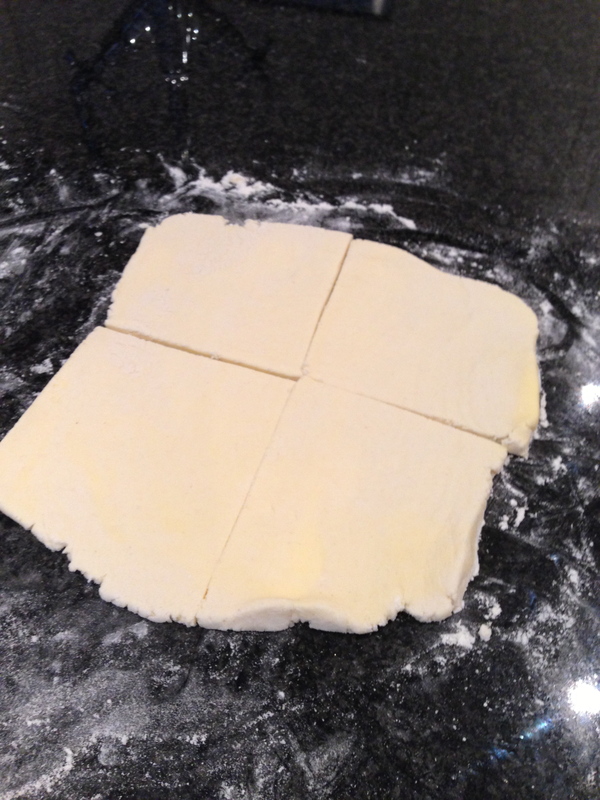 I rolled it into a square and cut in 4 equal rectangles to make savoury pastries. 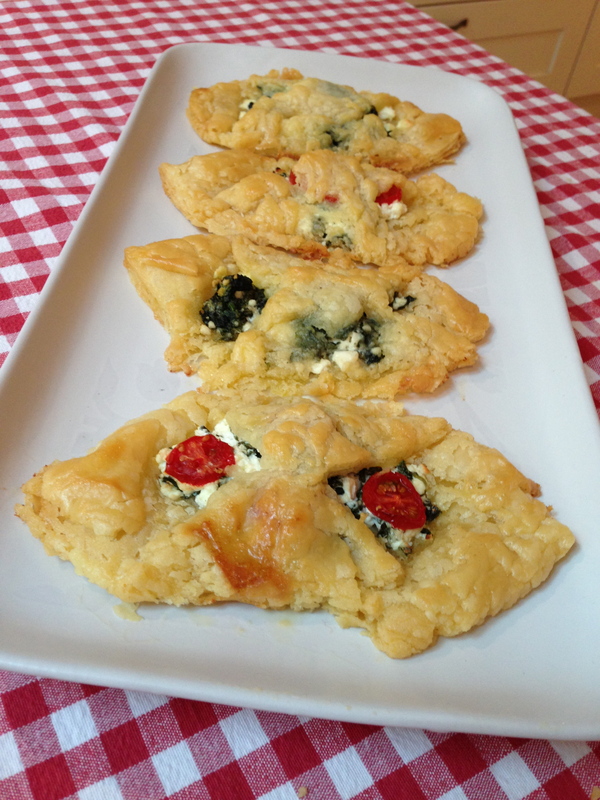 Using spinach with goats cheese and tomato and spinach and feta. I egg washed the pastries before I put them in the oven. I put them on a baking tray with greaseproof paper. 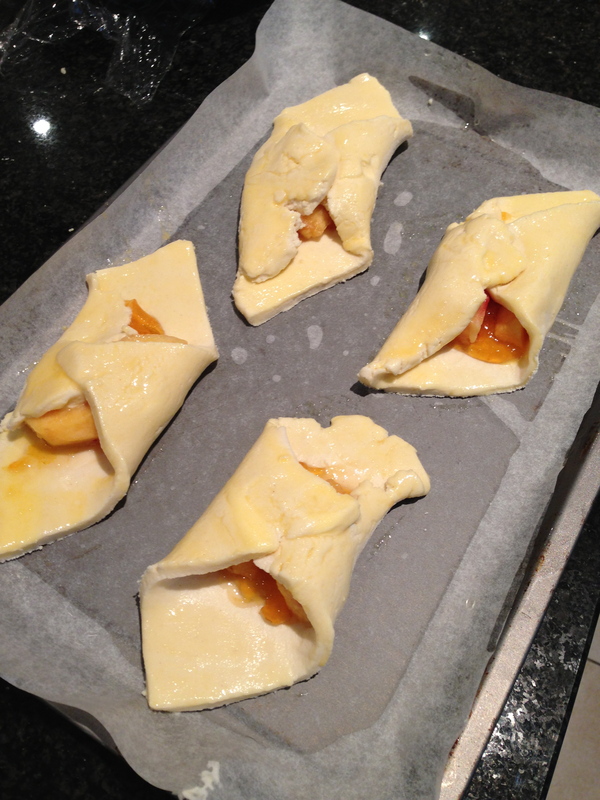 With the other half of the pastry I did the same, but filed with apricot jam and slices of nectarine. The pastries went in a pre heated oven at 200c for approx 20mins until golden brown. 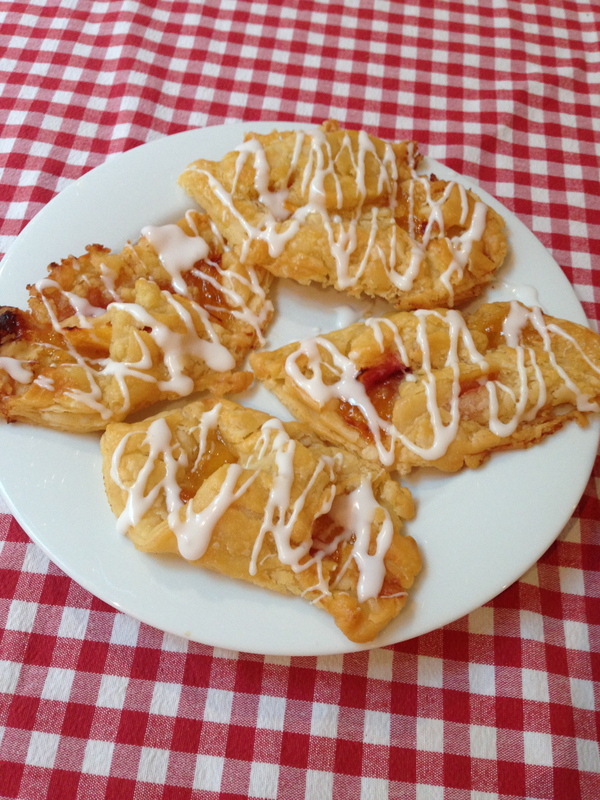 and the sweet danish pastries, I drizzled some icing on these. The danish pastries were crispy and a little crunchy, certainly flaky. But not very ‘Puff’ Still incredibly delicious. But not really a huge success sadly, and I think if I was on The Great British Bake off, I would be saying goodbye today and getting a Mel and Sue hug! Enjoy watching the experts tonight. 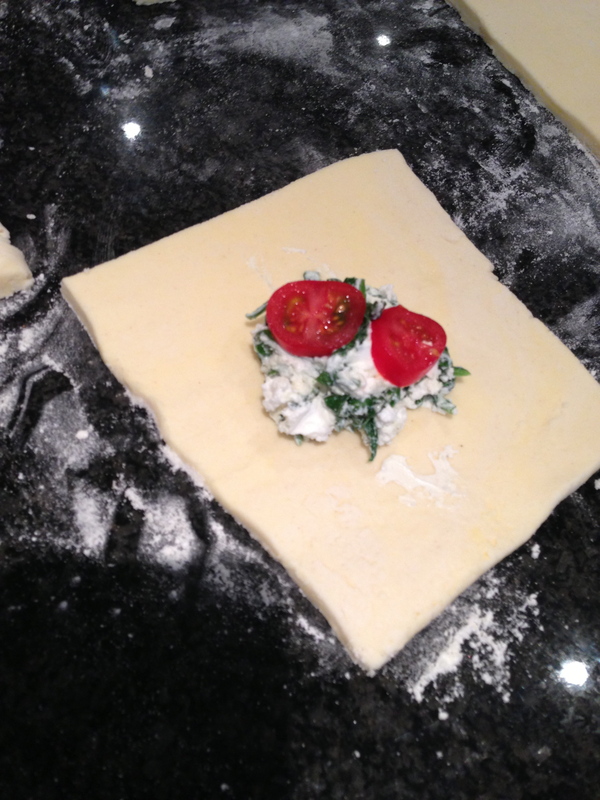 I’m off to practice my Puff Pastry! These look amazing! 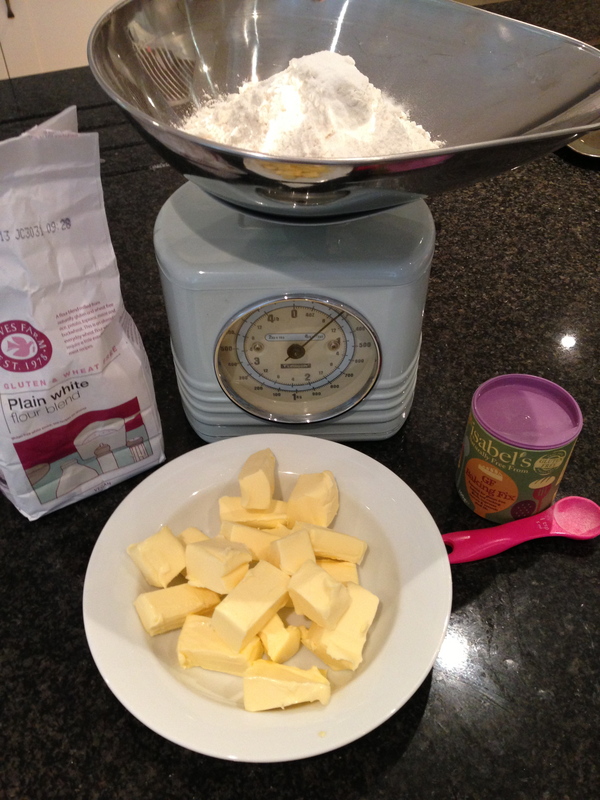 What’s isobel’s baking fix? Not heard of that before. Can’t wait for GBBO tonight! I’ve not tried it, will have to put it on my shopping list!